You'll also receive exclusive news and content from Selex ES Inc., a Leonardo Company. An automatic license plate recognition system is a big investment for sure, but the technology essentially pays for itself when you consider its efficacy in recovering stolen cars. That's what Detective Sal Aprile of Lehigh County in Pennsylvania said in a quick one-on-one conversation with us about his agency's own use of LPRs, which they acquired in 2006-2007. Take a look. There’s nothing like a success story of this magnitude to prove the efficacy and importance of ALPR technology—and the power of collaboration among law enforcement agencies across multiple jurisdictions. ALPR Pop Quiz: Can a License Plate Reader Work in This Situation? An ALPR system's high speed cameras can do a lot of things very quickly. They can read hundreds of license plates per minute, capture contextual photos of vehicles, translate the image of a plate into alphanumeric characters, and ultimately aid in solving crimes and locating missing persons. Most systems can read plates day or night, in all types of weather conditions, and many manufacturers advertise they read plates from all 50 states in the U.S. and most foreign countries. As much as the team behind Leonardo’s ELSAG ALPR systems could tell you about the proven benefits of automatic license plate recognition, nothing compares to hearing from those who utilize the technology day in and day out. 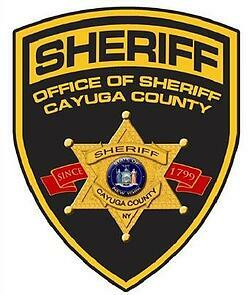 So we recently checked in on the Cayuga County Sheriff’s Office in Auburn, NY. Motivated by cost and time savings, as well as efficiency, the office acquired their first affixed ALPR systems in 2014 through grant funds. Below are the collective responses of the office’s members who have vehicles equipped with an ALPR system. Take a look at their thoughts on the technology, how they’ve put it to work, and what they think is the nicest feature. From our extremely knowledgeable sales team to our 24/7 technology support team, we’re always on call and happy to talk you through any questions or comments you might have as you research automatic license plate recognition systems. That said, we completely understand that sometimes you’re short on time, and all you might want are answers to some very specific questions. There’s a reason local news stories these days often cover the acquisition of license plate recognition cameras—like this one out of Manatee County, Florida or this one in Laurie, Missouri—and that’s because this specific purchase is an absolute game-changer for anyone living and working in that area. This publication is issued to provide outline information only and is supplied without liability for errors or omissions. No part of it may be reproduced or used unless authorized in writing. We reserve the right to modify or revise all or part of this website without notice. Automatic License Plate Reader is also known as: ALPR, LPR Technology, License Plate Recognition, License Plate Camera, Car Plate Reader, Automatic Number Plate Reader, ANPR.